50 pieces inside! New clay colors & tools! Treasure Trove of Clay and Tools! 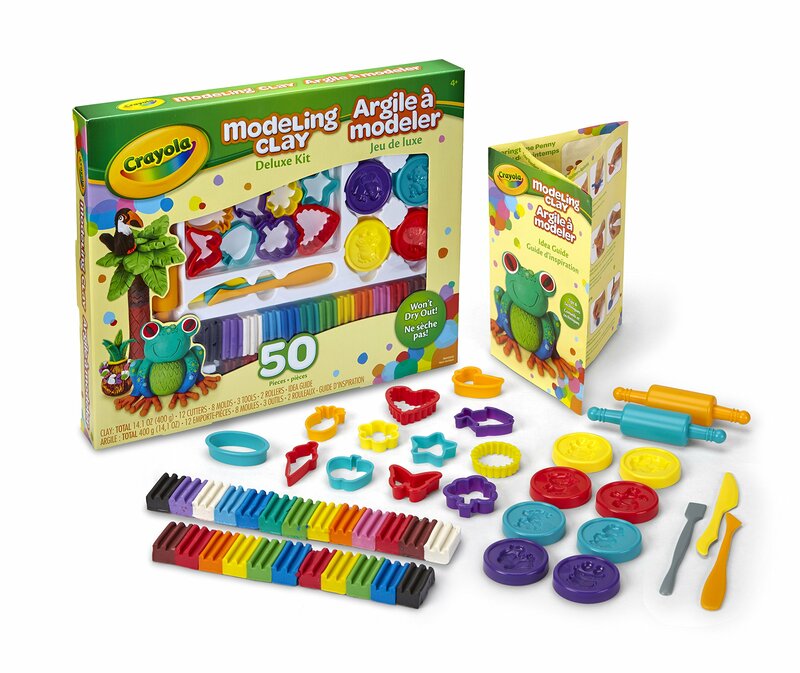 The Crayola Modeling Clay Deluxe Kitincludes an awesome array of gear for sculpting and detailing clay creations!Also includes a generous assortment of 24 clay colors and idea guide toinspire creative projects.